I want to present you a completely new hack for PVP. The CAT CHEAT works together with Toolbox only, You will not be able to use it with BlockLauncher! There are many useful functions that will certainly help you win on HG, SW, SG, etc. The Cat cheat panel is divided into 3 tabs: Combat, Movement and Player. Each tab contains functions that will make you a god in any fight. Hack works on almost every server and has been tested for a long time. 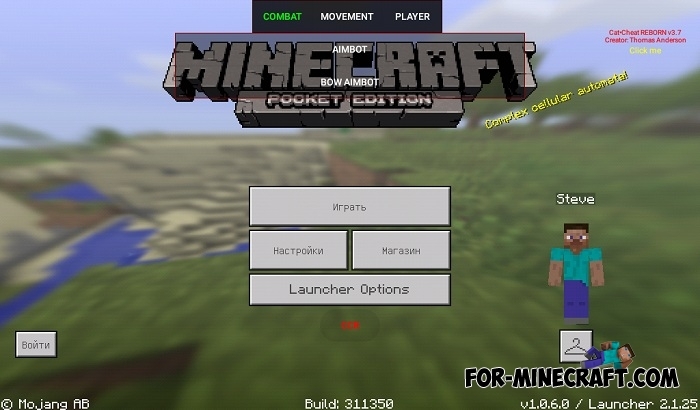 CAT CHEAT supports all versions of Minecraft PE including 1.0.6. 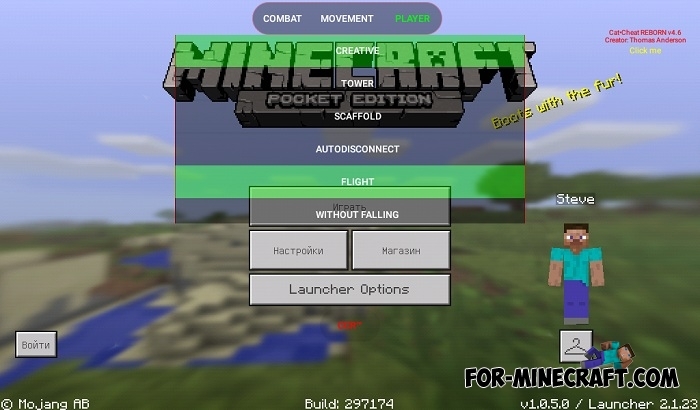 Vertex Client Hack v3.0 for Minecraft PE 0.16.2/1.2Probably, this is the best hack for the game that contains a lot of features and is very user friendly..